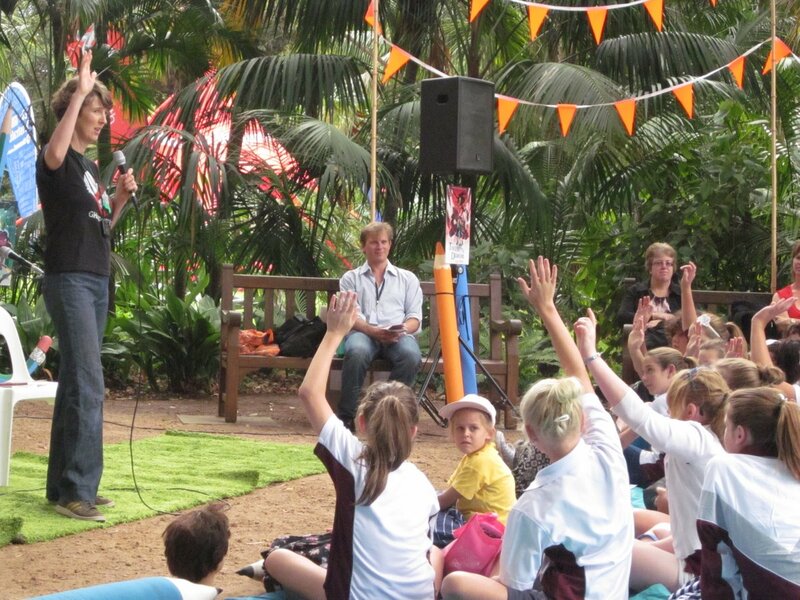 Who thinks the Perth Writers Festival rocks? It was awesome!!! I want a writers festival every weekend please!!! My presentation was on the beautiful Tropical Grove Stage, which looked and felt like a jungle clearing. It was the perfect setting to tell spooky stories of Miku’s school camp (and my school camp!) and I think everybody jumped (or laughed) in all the right places. I really appreciate it and hope you had a great time. I sure did. It was fab to meet so many keen readers and to talk books and writing and wild imaginations with you all. I’m both sorry and stoked that Filth Licker sold out. I’m stoked cause that means you liked my presentation, and I’m sorry cause some of you had to miss out. If you wanted a copy and didn’t get one, you can order one from your local bookstore, and if it’s anywhere near Perth I’ll try to pop into the store and sign it for you. 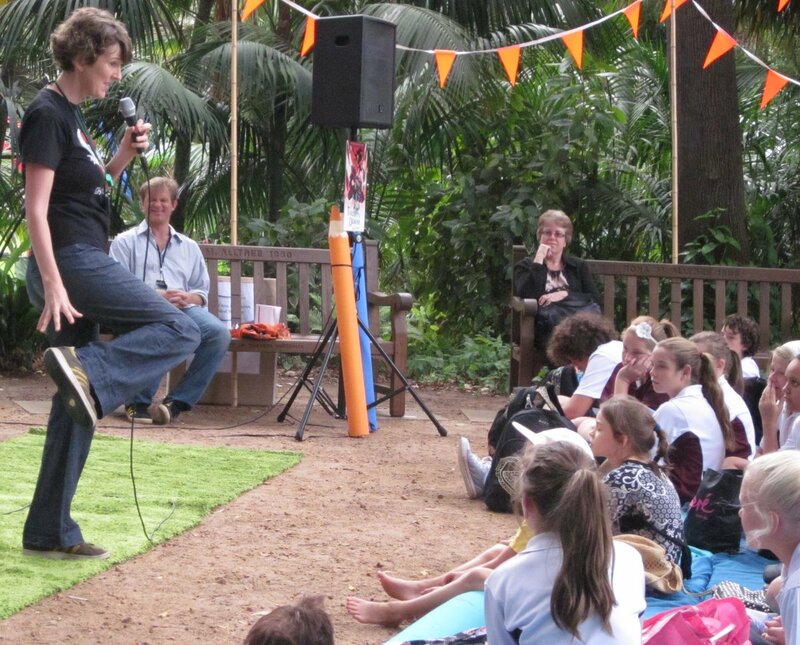 Tags: appearances, Filth Licker, Perth Writers Festival, Perth Writers Festival Family Day | Permalink.